In 1981, Bay Area California musicians Mike "Puffy" Bordin, Billy Gould, Mike Morris, and Wade Worthington formed a band called Faith No Man. A year later when Worthington was replaced by keyboardist Roddy Bottum, and Mike "The Man" Morris was ousted, the group began calling themselves Faith No More. After going through a series of singers which included Courtney Love, the band was joined by Chuck Mosely in 1983. The same year, Jim Martin was recruited to replace guitarist Mark Bowen. A four-song demo tape recorded in 1984 led to the band's first real album, "We Care A Lot," released on Mordam Records in 1985. Within a year the band signed up with Slash Records, and in 1987 their second album, "Introduce Yourself," was released. The subsequent tour brought Faith No More a good deal of press in Europe, but when the tour was over the rest of the band chose to fire Mosely due to his constant drinking, limited vocal capabilities, and squabbles with bandmates. Mike Patton, frontman of Eureka, California band Mr. Bungle, was a replacement suggested by Jim Martin, who had heard a demo tape that exhibited the long-gone death metal side of Mr. Bungle. Patton was hired in January of 1989. In two weeks he had written lyrics for the songs Faith No More was working on for their next album, and "The Real Thing" was released six months later. The album was a critical success, and the band toured with Metallica shortly, playing in front of huge audiences. Even so, it wasn't until the song "Epic" was released as a single in January of 1990 that Faith No More's popularity took off in the U.S., thanks in large part to heavy rotation of the video (which even received some negative attention for a brief scene of a fish flopping around out of water) on MTV. Another successful video for "Falling To Pieces" followed. Members of mega-rockers Metallica and Guns N Roses named Faith No More among their favorite rock groups. The band received a Grammy nomination for Best Heavy Metal/Hard Rock performance. By the end of the year, "The Real Thing" had gone platinum in the U.S. In 1991, following the impressive success of "The Real Thing," Faith No More released in Britain a recording of a live show they played there, along with two previously unreleased tracks, entitled "Live At Brixton." A video of the same performance called "You Fat B**tards" was released elsewhere. The San Francisco band was now playing large venues worldwide as the main act, their unique sound & Patton's manic stage antics a draw for fans of all kinds of music. With Faith No More's fourth studio album, "Angel Dust," Patton had more time to compose as a full-fledged member of the band, and Gould, Bottum, & Bordin, thanks to the success of "The Real Thing," had more confidence in their ability to create the album they wanted to. At the same time, Martin began to become dissatisfied with the direction that their music was going, and often did not show up at scheduled rehearsals. Gould was sometimes forced to fill-in guitar parts, and ultimately Martin did not have much input on "Angel Dust," with the exception of the guitar-heavy "Jizzlobber." In the summer of 1992, after the release of the album, its first single, "Midlife Crisis," played regularly on MTV and radio. It was followed by videos for the b-side "Easy," which was very popular in Europe, and "A Small Victory." The latter, though an excellent video, was almost entirely overlooked by MTV, perhaps because neither song supported the hard rock image of the band prevalent since "The Real Thing," and MTV U.S.A. favors music that is easily categorized. 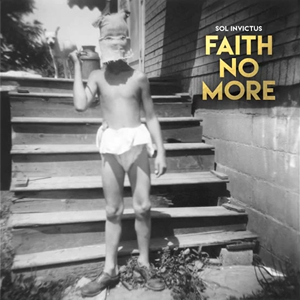 Meanwhile, Faith No More was part of the biggest tour of the year, opening for rock giants Metallica and Guns N Roses. After that tour, on which they received lukewarm responses from fans of the main acts, they embarked on tours of the U.S. and Europe as headliners to smaller crowds. In the end, there was no single on "Angel Dust that measured up to the success of "Epic," and the album did not sell as well as "The Real Thing" had in the U.S., but it did sell enough copies to go gold. It was even more popular in Europe and Australia, outselling "The Real Thing" in Britain. By the time the touring for "Angel Dust" was complete, the rest of the band agreed that Jim Martin was holding them back with his lack of enthusiasm for the direction their music was taking. In November of 1993 he was fired. For 1995's "King For A Day, Fool For A Lifetime," Mr. Bungle guitarist Trey Spruance was recruited. Once the album was recorded, however, he left the band before touring began. The reasons given for his departure varied depending upon whom you asked; Faith No More maintained that Spruance was unwilling to commit to a long, worldwide tour. Trey claimed that he was ready to tour, but the others decided he wasn't right for the band, and never really made him a permanent member in the first place. Dean Menta, a former Faith No More roadie & guitarist for the band Duh, was Spruance's replacement. Though "King For A Day, Fool For A Lifetime" reached number one on the charts in Australia, and spawned such overseas hits as "Evidence," the album was hardly noticed in the U.S. Videos were made for "Digging The Grave," "Evidence," and "Ricochet," all songs with commercial potential, but which were virtually ignored by American MTV. A less than enthusiastic response to shows in the UK prompted the band to cancel the second portion of the European "King For A Day" tour, although band members insisted that this would provide an excellent opportunity for them to get back in the studio & start working on their next album while they were happy with their current line-up. Once again they had to find a new guitarist. "Dean had been our guitar player and worked great for the tour, but when it came to writing, we found that we worked differently," said Bill Gould. They settled upon Jon Hudson, a friend of Gould's and former member of Systems Collapse. The band's sixth studio album, "Album of the Year" was released (June 1997), along with singles and videos for "Ashes To Ashes," "Last Cup of Sorrow," and the electronica-tinged "Stripsearch." Successful tours of America, Europe, and Australia ensued. "After 15 long and fruitful years, Faith No More have decided to put an end to speculation regarding their imminent break up... by breaking up. The decision among the members is mutual, and there will be no pointing of fingers, no naming of names, other than stating, for the record, that "Puffy started it". Furthermore, the split will now enable each member to pursue his individual project(s) unhindered. Lastly, and most importantly, the band would like to thank all of those fans and associates that have stuck with and supported the band throughout it's history."